How Can You Become a Mason? That's your first step: To be one, ask one. It's a easy as that! 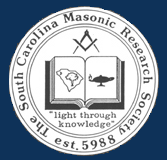 Just contact the Lodge, by e-mail, or by phone, at 803-256-2538, or drop by during business hours. There are some requirements that must be met before an application for membership can be accepted. 1. Must believe is a Supreme Being. 4. Must have resided in South Carolina for 12 consecutive months. 5. Must be able to read and write English. 6. Must be recommended by two Masons. 1. Must apply by written petition at a regularly scheduled business meeting. 2. Petition must be in the petitioner's handwriting. 3. Petition must be accompanied by the specified fee on the petition. 4. The Lodge will assign a committee of three to investigate into the petitioner's qualifications and make a report at the next business meeting. 5. If the committee is favorable, a vote of the lodge members present is held. 6. If the vote is unanimous, the petitioner is invited to take the first of the three degrees. The process of joining a Masonic lodge after petitioning consists of three "degrees". 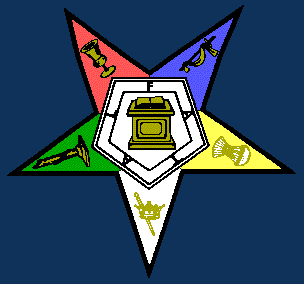 They consists of the Entered Apprentice Degree, Fellow Craft Degree, and Master Mason Degree. Each of these degrees represent the three stages of life as well as the stages a operative Mason would go through in his life to learn his craft. During the course of taking the degrees, all candidates are required to commit to certain parts of our teachings to memory. A "coach" is assigned to teach the candidate. After the candidate has demonstrated that he has memorized the required text, the lodge membership votes again. If the ballot is unanimous, the candidate is invited to take the next degree.